Consistent Life Ethic magazine! 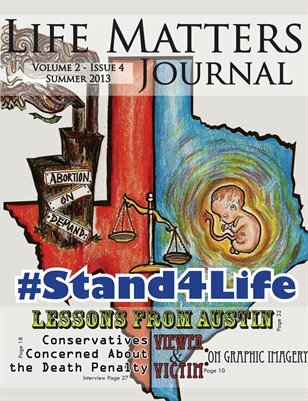 #Stand4Life: Lessons from Austin, TX (#HB2) Conservatives Concerned About the Death Penalty. On graphic images, unjust war, drone policies, Guantanamo Bay, abortion, the draft & other life issues!